A production of the Woodrow Wilson Center in association with Circle of Blue and Think Out Loud Productions. Kip Amtra, who has lived in downstream Kharkhana Village his whole life, scoffed at the suggestion. Speaking to those whose lives are affected most by coal mining exposted deep divides. The conflicting demand for water, food, and energy is one of the defining challenges of the 21st century. “Global Choke Point,” a collaboration between Circle of Blue and the Wilson Center, explores the peril and promise of this nexus with frontline reporting, data, and policy expertise. 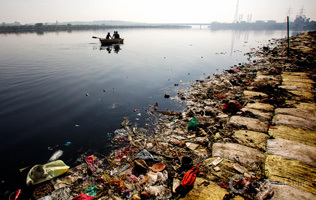 In four reporting trips to India since 2012, Circle of Blue and the Wilson Center have documented a cycle of risk involving water, energy, and food that is harming India’s environment, slowing its economy, and impeding its development. The stakes in Meghalaya’s contest between industry, the federal government, and local communities are tremendously significant for all of India. Evidence of rising activity in coal mining and trucking was plainly apparent during a visit this fall, writes Keith Schneider. He asked two cement plant executives if they were having trouble securing fuel. ‘‘Not a problem,’’ one grinned. Broken Landscape is the recipient of a 2015 Silver Telly Award for outstanding film/video. With nearly 12,000 entries from all 50 states and numerous countries, this is truly an honor. 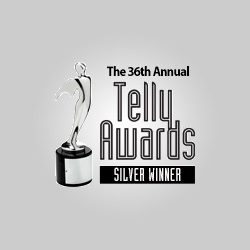 The Telly Awards were founded in 1978 and honor excellence in local, regional, cable, and non-broadcast video and TV. Read more about the Telly Awards here. Photos: Dhruv Malhotra/Circle of Blue; Michael Miller and Sean Peoples/Wilson Center. Designer: Schuyler Null. 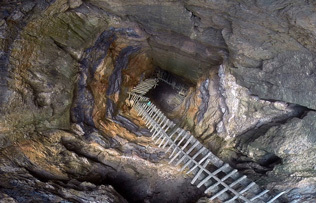 The natural resources exploitation and the environmental degradation create a high Impact on human life. There should be a sustainable water and food security systems should be in place with a long term vision. We need to adopt sustainable water protection and sustainable food production systems by integration of technological interventions and practical applications.